Registering a table is a process whereby SAS makes an association between metadata and a particular table. NB. When loading a table that is pre-existing or from an external source, the user is required to manually register a table. 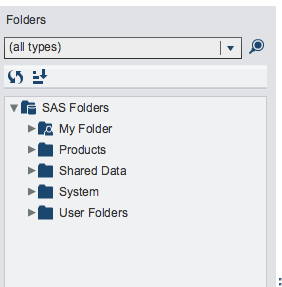 However, when a table is the result of a SAS Visual Analytics query or has been imported through SAS Visual Analytics, registering tables is done automatically. 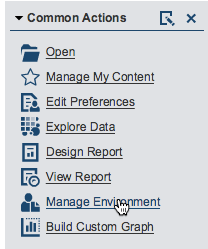 1) Navigate to the ‘Manage Environment’ section of Visual Analytics (on the right hand side under ‘Common Actions’. 2) Click on the ‘Manage Tables’ option under the ‘LASR’ menu. 3) On the far left pane of the ‘Manage Environment’ page, find the pre-existing library that contains the table that you would like to load in the ‘Folders’ pane. 5) A window will open up in which the user can select tables to register. Once this is done, click ‘OK’.